SportsLine's advanced computer model simulated Rockets vs. Thunder 10,000 times. The Houston Rockets look to even the season series with the Oklahoma City Thunder and improve their playoff positioning when the clubs meet in a nationally-televised contest Tuesday night. Tipoff from Chesapeake Energy Arena is set for 9:30 p.m. ET. The Rockets (53-28) have won six straight and 20 of their past 23 games to give them a chance of catching the Denver Nuggets for the second playoff spot in the Western Conference. But they have lost two of three this year to the Thunder (47-33), who head into Tuesday's contest on a three-game winning streak. They can move toward avoiding the No. 8 seed in the playoffs by clinching the season series with a win. Houston is a three-point sportsbook favorite with the over-under for total points scored set at 229.5 in the latest Rockets vs. Thunder odds. Before you make your own Rockets vs. Thunder picks, check out the NBA predictions from the SportsLine Projection Model. The model, which simulates every game 10,000 times, is crushing its NBA picks. It entered Week 25 of the 2018-19 NBA season with a sterling 277-216 record on all top-rated picks, returning more than $4,500 in profit to anybody following them. And it has been particularly red-hot on its A-rated NBA picks against the spread, entering Week 25 on a strong 69-52 run. Anybody who has followed it is way up. Now, the model has zeroed in on Rockets vs. Thunder. We can tell you the model is leaning over, and it also has identified value on one side of the spread. That one is only available at SportsLine. James Harden, the reigning league MVP, is now an underdog at most sportsbooks to Milwaukee's Giannis Antetokounmpo to win the award this season. But Houston's leader continues to set milestones at a rapid clip. He is about to become the only player in NBA history to average at least 35 points and seven assists. Veteran forward P.J. Tucker has provided a needed boost of late. He has hit double figures in three of the past four games after doing so just once in the prior 16 contests. The Rockets are 17-3 the past 20 times Tucker has scored 10 or more points. But just because Houston comes in hot doesn't mean it is assured of covering the Rockets vs. Thunder spread against an Oklahoma City squad that has won two of the three matchups between these teams this season. 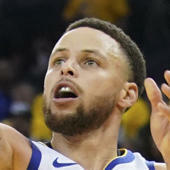 Oklahoma City has recently notched double-figure home wins over the Los Angeles Lakers and Detroit Pistons and is coming off a 132-126 road win on Sunday over the Minnesota Timberwolves. Paul George and Russell Westbrook had 27 points each for the Thunder, who benefited from a balanced effort. Six players hit double-figures, as Dennis Schroder led a strong showing from the reserves with 21 points. Who wins Thunder vs. Rockets? And which side of the spread has all the value? Visit SportsLine now to find out which side of the Thunder vs. Rockets spread you should be all over Tuesday, all from the model that's up more than $4,500 on NBA picks this season.